The best place to start caring for trees is to follow the same slogan most doctors and teachers follow: Do no harm! 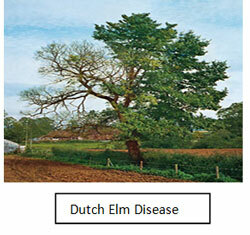 Healthy and vibrant trees seem to be invincible and a healthy tree is the first step in disease and pest prevention. Rubbing against a tree with the side of a lawn mower, or pounding the bark with a string trimmer is the first step in stressing a tree and leaving it susceptible to invasion by insects or disease. 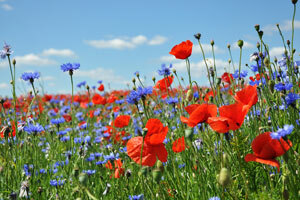 The best treatment for insect and disease control starts with prevention. Regular pruning, fertilization and proper watering can help your trees fight diseases and insects naturally. Granted some fungi and pests even a healthy tree cannot withstand (Dutch Elm disease for example) and that is where our licensed Arborist can be of help. We can diagnose problems that you may be facing without even knowing it and offer solutions. 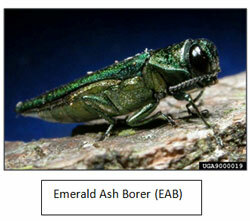 One of the most serious problems facing the northwestern suburban forest of greater Chicago is the Emerald Ash Borer. When you see this critter or the carcass of one on your tree, it may be too late to save it. Some problems may be treated by pruning the infected area. 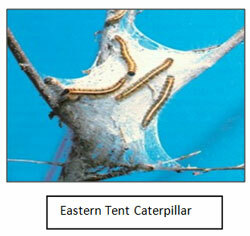 Others may require chemicals and pesticides. The products you can purchase to ‘treat’ your tree at the local home and garden store have to be of such reduced strength that they may not be effective. Certification is necessary to work with the pesticides and fungicides that a trained professional will use in order to deal with a tree problem properly. JPC Tree Care provides fully-licensed and certified staff to apply pesticides and get the problem under control, preventing the spread to surrounding trees. Rest assured that each treatment we use is environmentally safe, yet effective.